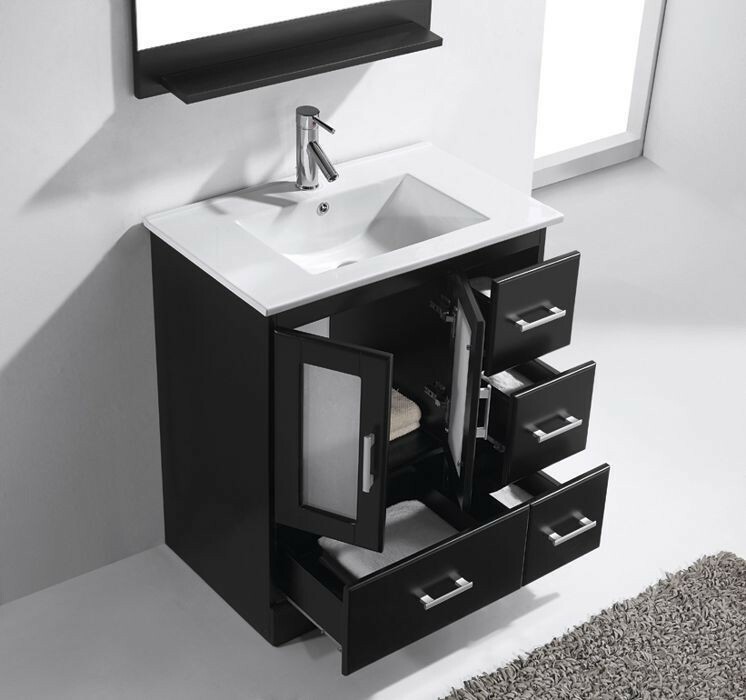 The Zola bathroom vanity set features a sleek contemporary design with abundant storage. 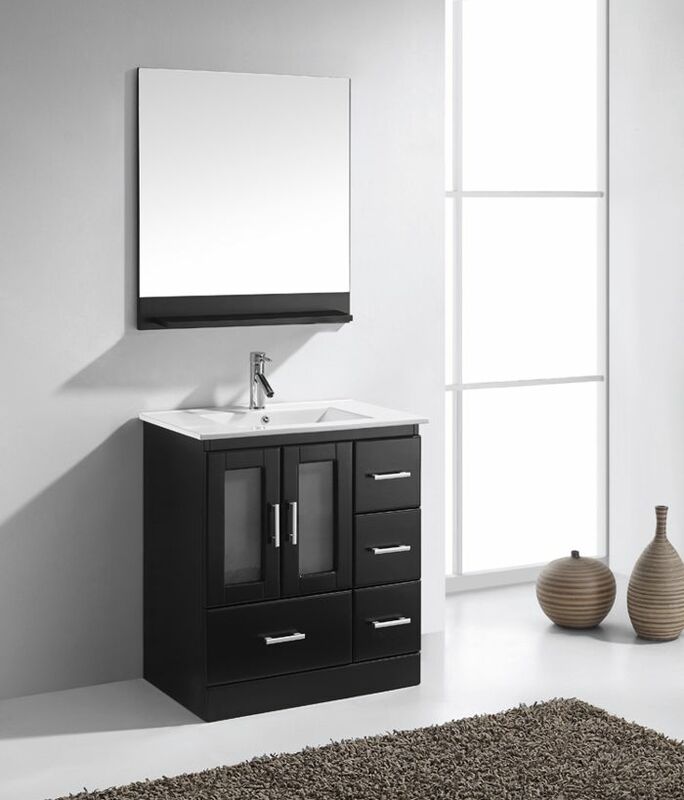 The vanity offers two doors and four storage drawers. The Zola is equipped with concealed soft closing door hinges and metal ball bearing drawer slides. The cabinet is constructed with solid oak wood, handcrafted and finished in Espresso. 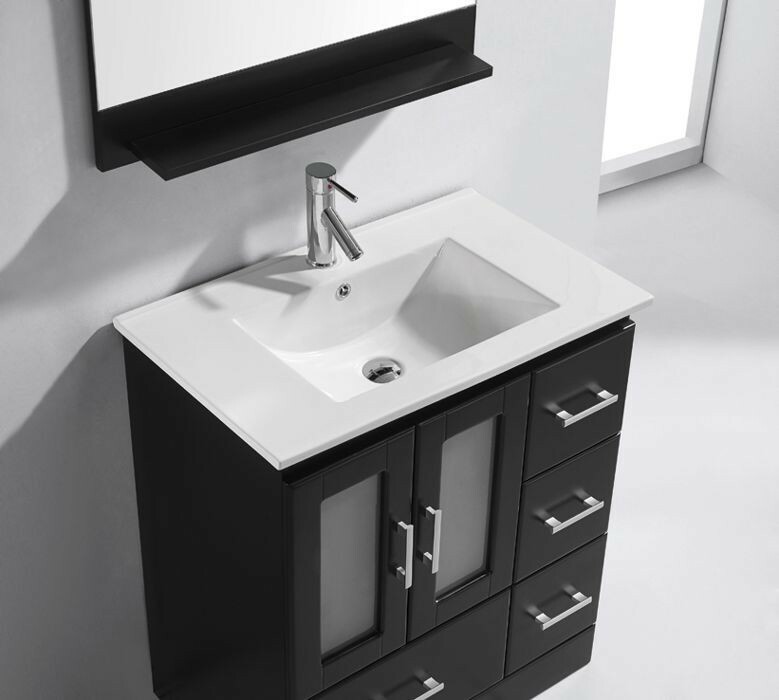 An integrated ceramic basin-countertop allows for maximum counter space. 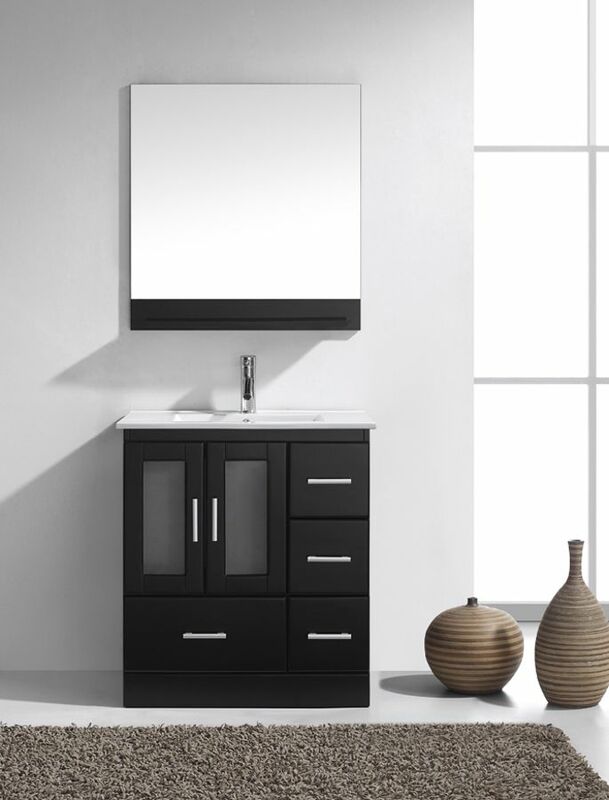 The vanity set comes complete with a matching mirror and a lifetime warranty faucet. Simple and effective, the Zola vanity is a perfect choice for any bathroom design. Virtu USA has taken the initiative by changing the vanity industry and adding soft closing doors and drawers to their entire product line. By doing so, it will give their customers benefits ranging from safety, health, and the vanity’s reliability.